Hi There! I have been teaching for 14 years, and I love sharing the love of music and the flute. My lessons, regardless of age and level, focus on building technique as a means to musical freedom. Lessons are tailored to the student's goals and personality, whether that is preparing for all-state or college auditions, or playing and composing the student's own music! I have performance BM and MM degrees from SUNY Purchase College and Jacobs School of Music at Indiana University, and have been a freelance musician with many orchestras over the years. I am comfortable and have experience working with students with disabilities. Hi! I am a teacher and performer who loves exploring and learning new things, with flute and in life! I love to work hard but always have fun, and I try to make flute lessons the same for my students. In addition to playing flute, I enjoy the outdoors, playing with my cat Abbie, and travel. I teach fundamentals, posture, basic music theory, and easy pieces for beginners. For intermediate, you will learn classical pieces that based on your ability. 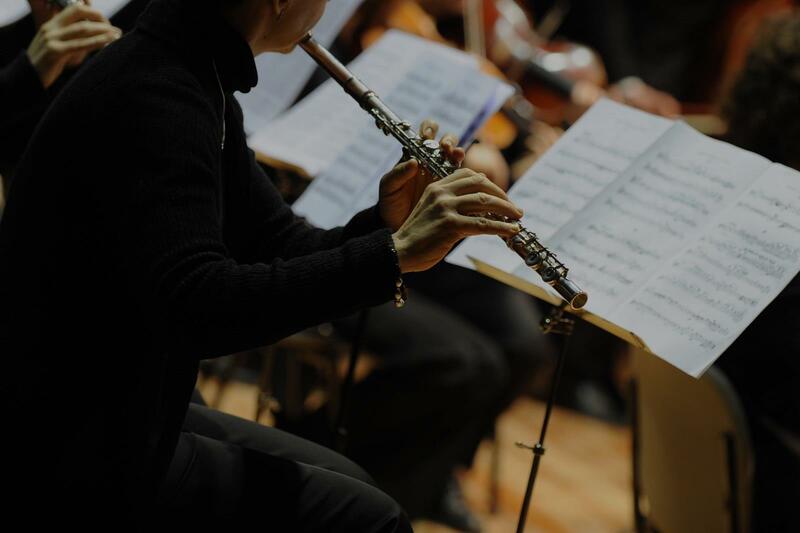 For advance, you will learn high level of classical pieces and interpretation of music. ase right away. I gained some confidence and helpful instruction just in the first 45 minutes we spent together. She's very patient and encouraging. I recommend her to anyone, regardless of age or skill level." "Allison is a very professional and well-organized teacher. She lays out clear expectations for new students and her explanations are always very clear. I appreciate how she strives to make the most of the lesson time and I'm sure you will too! She does not let a single moment go under-utilized. Allison is clever at finding ways to make tedious exercises (such as tuning) fun. She also has interesting blog posts on the types of music/chords she composes and enjoys. She is enthusiastic about sharing these tidbits with interested students, thus inspiring them. Her teaching methods are quite motivating. I like the way she explains the logic behind a piece of music. An example is "O Magnum Mysterium", which she arranged. Allison teaches out of her home studio. It is a comfortable environment that is conducive to learning and also has two seats for parents who wish to observe their child's lesson. Allison is very professional about ensuring that the lesson time is free of interruptions. I highly recommend Allison's professional services to anyone who is looking to learn or resume playing the flute. She is an excellent educator and I'm sure you will be pleased with her studio." otes in higher octaves from many different angles until I improved. Although I have not had much experience with Allison Vitek as a teacher, I can vouch for her passion for music, dedication to mastering her instrument and guiding her students in developing all areas of musicianship (technical, theoretical, and expressive). Allison is conscientious, reliable and delivers honest feedback encouragingly. Also have to say, when she demonstrates extended techniques on the flute--it's pretty amazing! I have not taken a lesson with her in her new studio, so I cannot comment on the teaching environment. But overall, 5 stars!" lways learn a lot when I have a lesson." "Allison is very accommodating. That's very convenient for us, my husband and I, because of our hectic schedule." the lesson. I feel that Allison has a good understanding of different techniques and implements them nicely while making the lesson feel stress free and open. Allison is GREAT!"